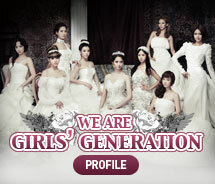 October 19th is Girls’ Generation DAY! The Title Song ‘The Boys’ and the Album will be Released Worldwide on October 19th! Girls’ Generation, who is making headlines with their worldwide promotion, will release a single album in the U.S. through the world’s leading music company, Universal music group. Girls’ Generation signed with internationally-renowned music label Universal Music Group ahead of their music release in the U.S. Girls’ Generation will release their maxi single with their new song "The Boys" through Interscope Records in November, the same company that distributes music for Lady Gaga, Eminem, and the Black Eyed Peas etc. Moreover, this album will not only be circulated throughout the U.S., but Europe, South America, and other parts of the world, so the album is expected to receive an enthusiastic response from global fans. Also, Girls’ Generation, who changed the comeback date to further strengthen the marketing of their worldwide promotion, decided to release the new album ‘The Boys’ through various music stores including iTunes on October 19th. Girls’ Generation’s new song ‘The Boys’ is written, composed and arranged by one of the world’s three producer, Teddy Riley, who was Michael Jackson’s producer. Since the song contains refined beat, sound and melody, Teddy Riley’s work with Girls’ Generation is expected to fascinate global music fans. "The Boys" will be released in Korea through their third album (both on and offline) on October 19th simultaneously. They will start their official promotions through KBS 2TV's Music Bank on October 21st. how could you say yoona is talentless? if she's talentless, then why the heck did she debut as a member? she's a very good dancer, she may not be as good as hyoyeon and yuri but she belong to soshi dance trio. and have you heard her part in the song? her vocals have improved a lot. and if yoona's talentless, why would sm tire themselves to train her? Think first before saying that she's talentless..
Nov. 19th and I couldn't find the album anywhere in music stores? Has it been delayed? Why no one saying anything?